InnoPeople HRMS is the need of the hour software for all organization, enterprises, outlets. HRMS inculcates discipline along with transparency. Human Resource management system is required in service oriented or man power driven industries. It Eases the HR Process and improves the process. Studies show that companies having HRMS system, have seen HR efficiency grow by 35%, resulting in using HR Manager for better processes and involving them in company’s strategy building. Gone are the processes when the HR managers are doing labor work of doing simple maths. Today’s is the time for using system’s supporting multiple simple maths or doing boring tax computations. 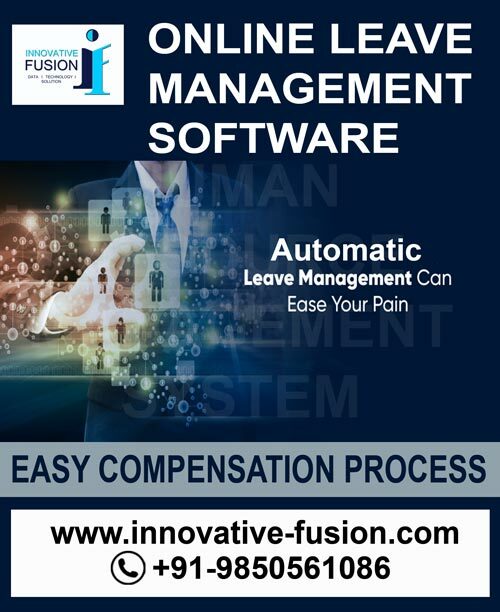 Innovative Fusion is involved in helping ease HR managers process of monthly payroll , attendance management, leave management process, miss-punches, Approval/Rejection of leaves, Approval/Rejection of Miss-Punches. Payslip generation which was requiring HR managers involvement has been removed completely, with introduction of Employee Self Service (ESS). Employee can directly takes his/her payslip from his own user online account. Innovative Fusion has gone way ahead when it comes to features of InnoPeople HRMS, it gives tracking of IN/OUT time of System such as Laptop/Desktop with help of windows application installed on each machine in organization/Company. In Today’s real time scenario, it become difficult to track on field employee involved in sales, delivery, services, logistics. Innovative Fusion has developed Mobile Application along with hardware combination which can be installed in Vehicles or Employee’s/ staff’s Mobile Phone/Smart Phones to track their location with High Accuracy. InnoPeople Dashboard has made report fetching easy, it summarizes the number of day-to-day presented in an organization, with total number of current employees, gender-wise. InnoPeople offers features like E-Learning, Appraisal Management process, Performance Management, Training Modules. InnoPeople has extensive data storing capability in a very systematic manner. Leave Management Software, is one of the modules of InnoPeople required in service industry. In this Module, Leave Management in BPO Industry it eases with Managers/ HR can approve/reject leave application by employee/staff. It also maintain all leave taken, leave pending in Employee Leave Passbook. Managers/ HR can also check status of leaves whether approved/ rejected/ pending. Employee/staff can also check their leaves status in their own online user account.